Lectra Tech LLC is the premier provider of industrial and commercial electrical services in the Clovis area. Bringing over 20 years of experience to every project, we guarantee quality work at reasonable rates. 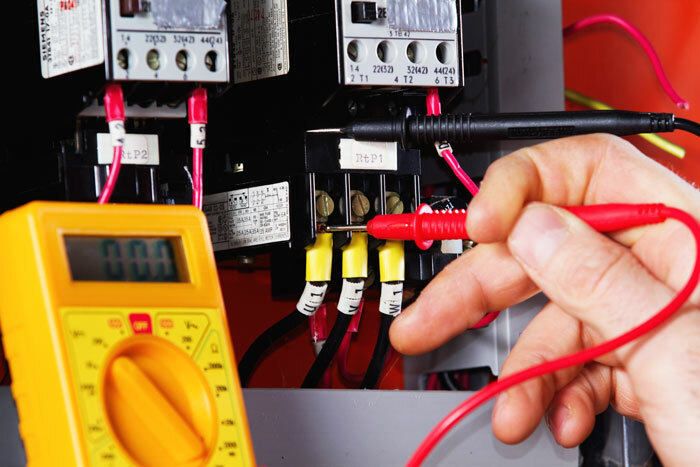 Our expert technicians are ready to solve any electrical issue, big or small. At Lectra Tech, we know how important reliable electrical solutions are to the success of your organization. That’s why we offer industrial and commercial electrical services in Clovis, NM you can count on. Our clients know they can depend on our in-depth knowledge, detailed methods and customer-centric service to get the job done right, the first time. Our specialties include commercial and industrial electrical construction as well as repairs for commercial and industrial electrical applications. Lectra Tech is equipped with bucket trucks, ditching instruments and backhoes to provide any level of electrical services for your setting. No job is too big or small. We are locally-owned and -operated, established in 2011. Our regular business days are Mon – Fri but we have techs on call 24-7. We provide bucket trucks, backhoes and ditching instruments to meet all your service needs. We offer free estimates to all prospective customers. Lectra Tech is your go-to source for commercial and industrial electrical services that ensure your operations stay on track.